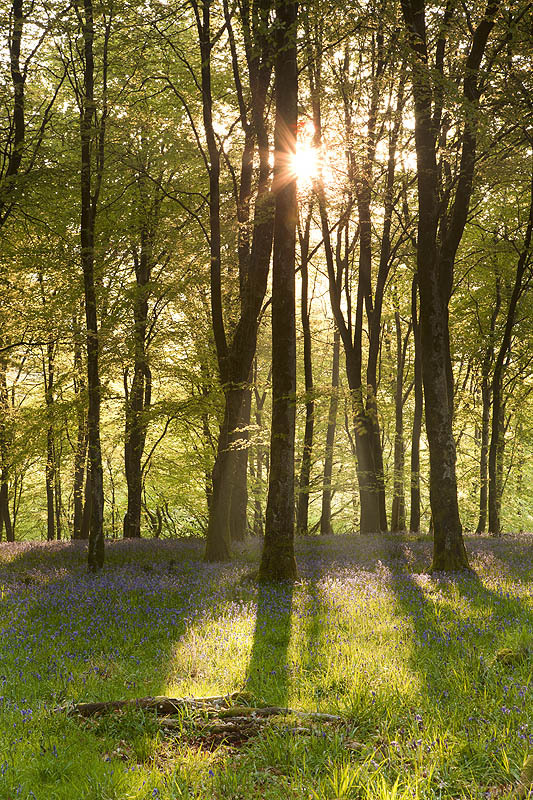 The morning sun bursts through the Beech (Fagus sylvatica Fagaceae) trees of Barton Wood and lights the Bluebells (Hyacinthoides non-scripta Liliaceae) on a warm spring morning. Barton Wood. Exmoor National Park. Devon. May 2013. Location: Barton Wood. Exmoor National Park. Devon.